Images are becoming more and more prevalent in the classroom. Students are taking pictures of projects, labs, processes…anything they can! 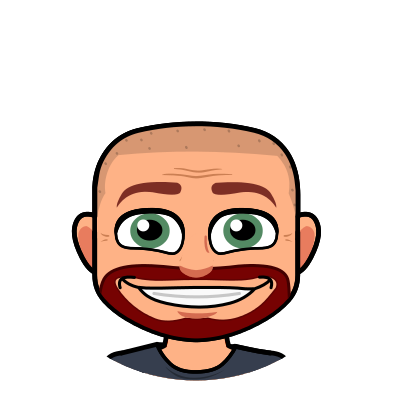 As digital media creeps farther into education we are constantly looking for ways to create and share what is being discovered. Quite often more images are captured than you can possibly use. This is where the Pic Collage app can come in handy. The Pic Collage app is FREE! 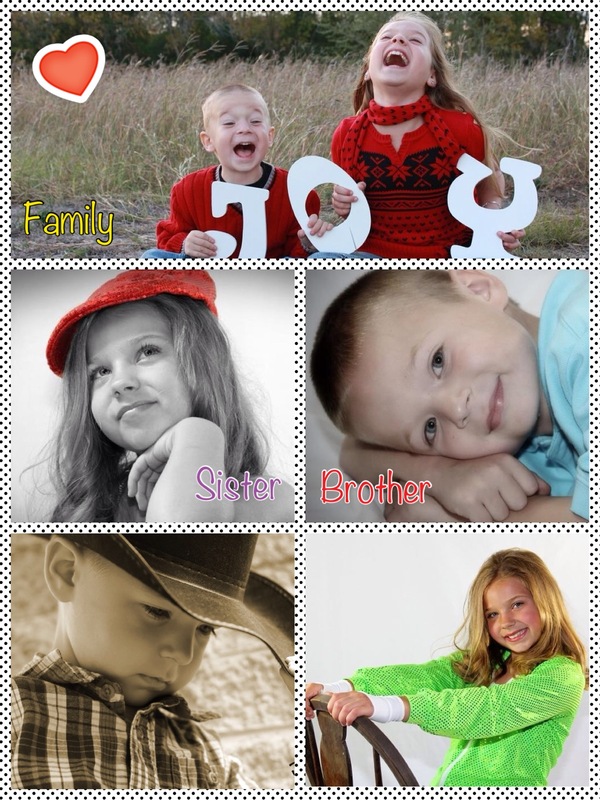 It allows you to bring in multiple images and create your own collage. You then have the ability to personalize it. After choosing to create a new collage, the collage defaults to a blank template. If that is the option you wish to use you can just start adding images by tapping on the screen. It will give you the option to use the camera, add from your photos, or grab an image from the web. If you want to change the way your images are organized, background color, etc. check out the options available through the buttons at the bottom of the screen. They include changing the background or frame, or you can insert different media options. There are 18 frame options available to you. They range from 2 image frames to 9. 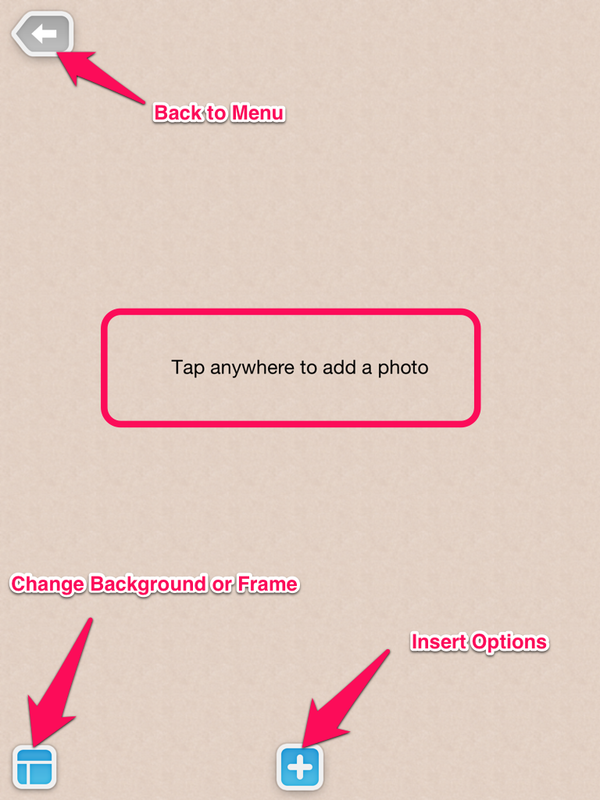 After adding photos to the frames you are able to move and resize the photos by holding down on the photo first. Tapping on each photo will move it to the top of the image so you can also overlap them. There are 60 color options for you. One of those options is to search the web. This opens an additional amount of backgrounds for you to choose from. Select what works best for your project. Once you have your frame and background set you can dig farther into the other media options. 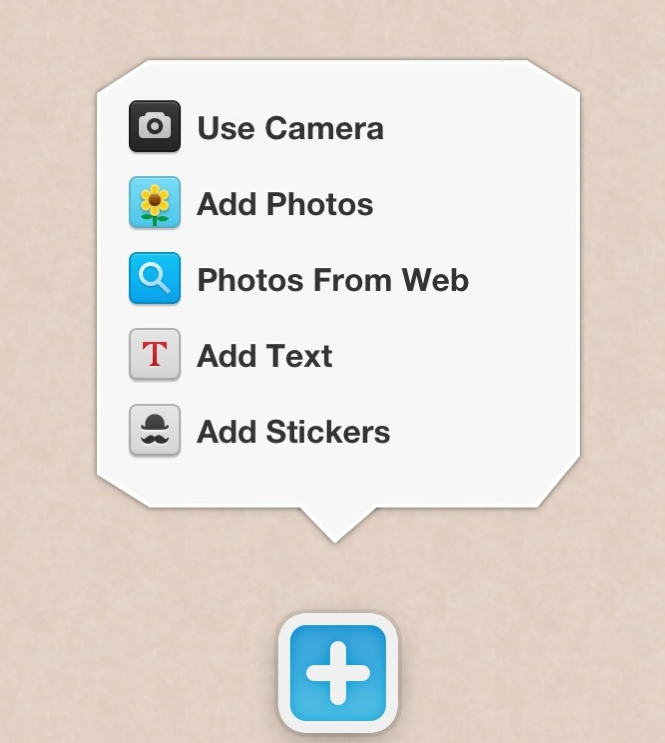 By clicking the “+” on the bottom of the screen you get options to add photos, text, even stickers. Some of the stickers are in-app purchases so be careful. Add them to the page, then click to move, turn, or re-size your additions. You also have font choices to make when adding text. Pic Collage is a fun app to play with and can be shared through Facebook, Twitter, Instagram, email, and more. You can also save to your camera roll and use the image in another app to create an even more engaging product. Give Pic Collage a try.